Hello everyone. Today I'm reviewing my favorite make-up palette ever. It's the Professional Cosmetics JV Beauties 180 Eyeshadow Palette. That means this palette contains 180 eyeshadow colors. I'll show you the 3 pallets that are included in the box up close! This is by far my favorite palette. I wear a lot of neutral colors on a daily basis, so this is what I use everyday for my highlight- and basecolor. The last palette is all matte. It's great for when you want to use color on your eyes that's not too outstanding but still bright and really pigmented. Some swatches of these amazing colors. The bottom 2 palettes have ribbons on the side so you can pull them out easily. I find this really helpful and easy to use. The palettes are stapled on each other and there's a sheet of see-through plastic on top of each palette layer so the colors won't get damaged. This is the size of the palette compared to a Maybelline mascara. If you have an Ebay account you could contact her on there. I want to thank her a lot for sending me this package fast & safe! 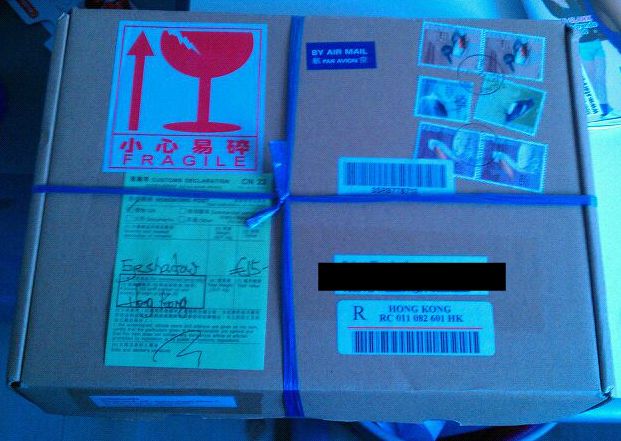 Ebay said it would take about 2 weeks for it to arrive here from Hong Kong, but it only took about 5 days. The palette was packed in a box, bubble wrap and a big sturdy box with addresses and stamps on it! It costed me about €20. I don't remember the shipping costs, they were either free or really cheap. Wow, hoe komen die krasjes er allemaal al op?! Leuke post! Mooie kleurtjes om zo allemaal te zien. Win goodiebags twv 200,- per goodiebag. Helaas is dat zo gekomen doordat dit palette altijd op mn makeup tafel ligt zonder bescherming eronder. Dus hij schuurt er telkens overheen.